I'm speechless, hoomin. I'm just speechless. I can't believe my eyes either. PS: Follow The Rabbitgang on FB! Aint it awful? Same thing happened to Snickers bars. We need to team up Rambo and "speak" to someone. I am in a courtroom. I am seeing evidence. I am part of the jury that will not convict. No one will convict. Ohh...no worries, Rambo. 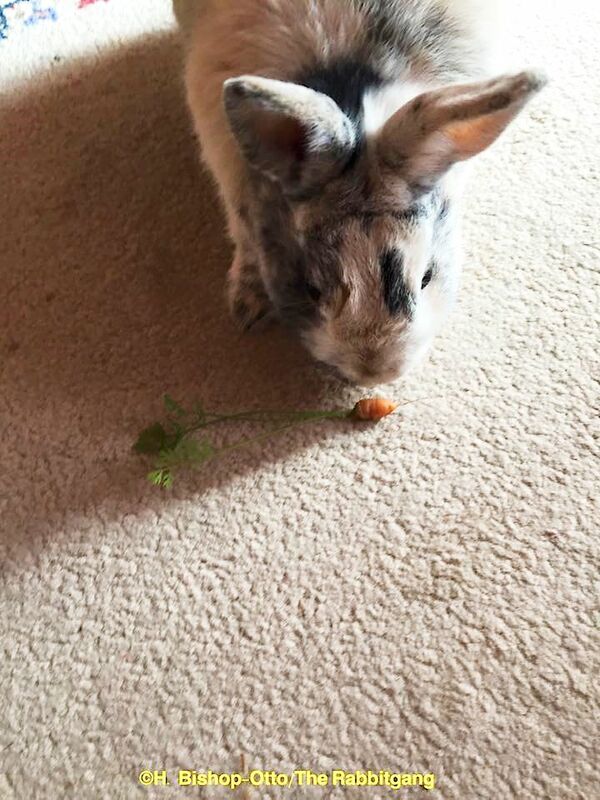 Hopefully, your hoomin planted the non-diet sized carrots as well! 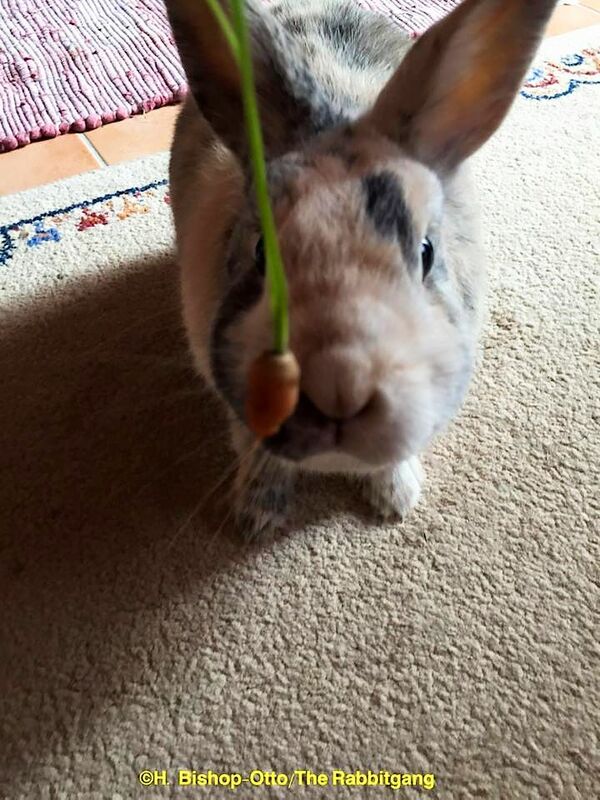 That is for a baby rabbit. Now go to the store and get a proper bunch of carrots. Speaking of rabbits in general, I was on the treadmill at the work fitness center watching several wild-ish rabbits frolicking on the lawn outside. Periodically they would all run to the other side. I didn't see any potential threats so I figure they were just doing it for fun. Sally - it is when we get "Off" the treadmill that rabbits start getting serious about "fixing" things. AT least that is how it is for me. With that itty bitty carrot even I would be disapproving Speedy! MOL!! !